Rozelle, sorrel, agua de Jamaica and carcadé are some of the many names for a citrusy cold and hot drink made from the hibiscus plant and consumed all over the world. Served icy cold, the tart, grape juice-like drink is commonly called roselle juice in English. Served hot, it's usually known as hibiscus tea or Jamaica tea. However, hibiscus, roselle, rozelle, Florida cranberry, flor de Jamaica, Jamaica sorrel, Indian sorrel, Guinea sorrel, sorrel, red sorrel, saril, sour-sour, Queensland jelly plant, jelly okra and lemon bush are just some of the English names for the plant that supplies the flavoring and edible ingredient. It's also known as roselle in the Philippines and by English speakers in Malaysia. 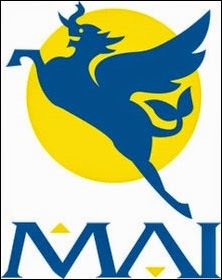 In Mandarin Chinese, it's mei gui qie. Roselle is called krajeap in Thai, chin baung or chin baung ywet in Burmese, and asam paya or asam susur in Malay and Indonesian. Burmese make a dish of fried roselle leaves called chin baung kaw. 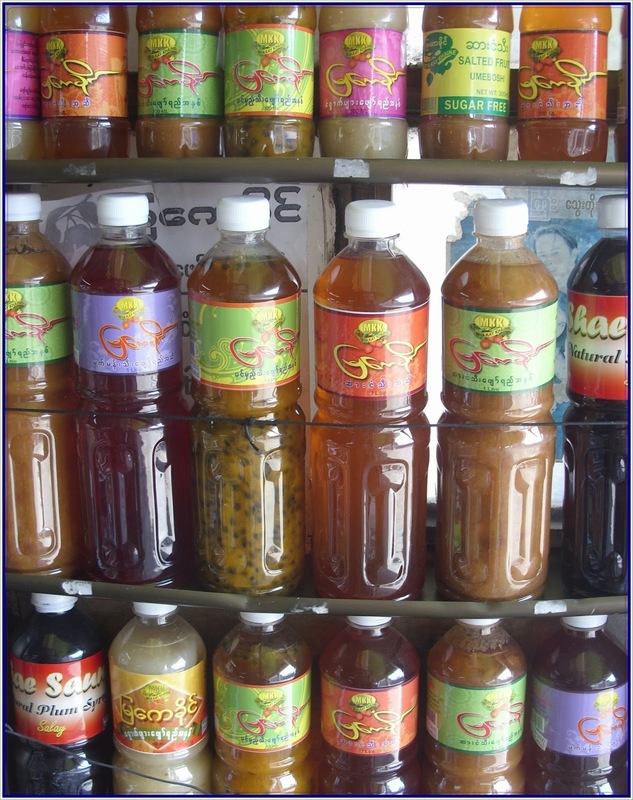 In Sudan, Egypt and much of the Middle East, both the hot and cold drink is called karkadé or carcadé. In French, it's oseille rouge or oseille de Guinée. In Senegal, it's bissap. 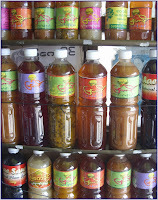 Agua de Jamaica, agria, agrio de Guinea, flor de Jamaica, rosa de Jamaica, saril, sereni, quimbombó chino, quetmia ácida, viña and viñuela are Spanish names for roselle-flavored drinks. In Portuguese, the beverage is called vinagreira, azeda de Guiné, cururú azédo, or quiabeiro azédo. Hibiscus juices and tea go by the Dutch name, zuring, in the former colony of Surinam. It’s easy to mistake roselle for a juice in tropical countries because it’s commonly sold streetside and in food courts alongside fresh pineapple, orange, lemon and coconut juices. In Southeast Asian convenience stories, roselle is among the single-serving bottles and juice boxes. It also turns up, as a sherbet, in premium ice-cream shops. In the past few years, the ingredients have been appearing in Asia, imported from the U.S. and Europe, in upmarket coffee shops and gourmet grocery stores. In Egypt and elsewhere in the Middle East, however, hibiscus tea has been consumed as a soothing evening tea for centuries. From there it moved on to India and Southeast Asia. It probably first made a splash in the United States in the prettily-packaged herbal tea market as an ingredient in Celestial Seasonings' Red Zinger tea back in the 1970s. Botanically speaking, hibiscus is Hibiscus sabdariffa L. (family Malvaceae),a perennial herb that can grow more than 2 meters tall. Specifically, it's the ruber form of the bushy H. sabdariffa var. sabdariffa that produces the edible products. The parts used to make “juice” or tea (actually, an infusion) or "agua de Jamaica" look like dark red dried-up buds when found in fresh markets. 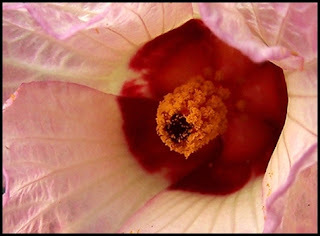 Contrary to common lore and articles re-churned by internet content farms, flowers or flower petals are not the hibiscus part used in flavoring, cooking, canning and food coloring. The basic ingredient is the plant's calyx: the red, fleshy pod enclosing the flower’s seed pod. Swollen up to 3 centimeters across, calyces are harvested after the tiny yellow, pink or white sabdariffa flower petals dry up and fall off. Most cooks will have to rely on the dehydrated calyces, which may be sold as roselle or “dried hibiscus.” In health food stores in California and Texas, look for bags of dried calyces labeled "Flor de Jamaica." For everyone else, it’s now easy to buy roselle from online stores or gourmet shops specializing in herbs from Malaysia, Thailand, Jamaica or Panama. Read how to make roselle juice/hibiscus tea and where to buy ingredients in my next article. Although hibiscus is being studied, it hasn’t yet been proven to have the healing powers of bael fruit. It is high in iron, calcium, niacin, riboflavin and vitamin C, as described by this Purdue University horticultural summary. Hibiscus beverages have no caffeine and are rich in anti-oxidants. As for medicinal properties, "Sudan tea" is prescribed in East Africa to treat coughs. In Guatamala, "flor de Jamaica" is believed to cure hangovers.In India, Africa and Central America, herbal tea made from roselle calyces or seeds are consumed as a diuretic and to stimulate bile production. A cup of hibiscus tea or a cool roselle juice is also believed to lower a fever in many parts of the world. In Senegal, roselle extract is said to treat hypertension. Scientific studies in the United States and Iran have found some evidence that regular consumption of hibiscus tea might indeed lower blood pressure. Taiwanese scientists recently found evidence that consuming hibiscus extract reduced serum cholesterol.